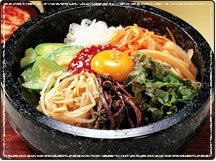 Bibimbap in a hot stone pot. 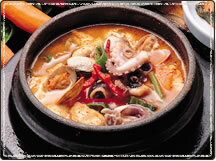 Spicy soft tofu stew with seafood. 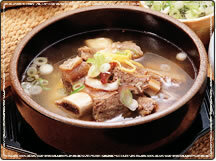 Spicy beef soup with combination vegetables. 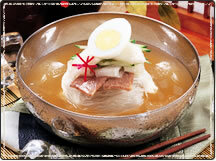 Cold buck wheat noodles in chilled broth. Cold buck wheat noodles with spicy sauce. 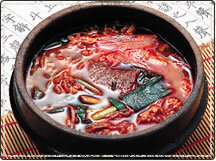 Bibimbap with sliced raw beef in a hot stone pot. Steamed rice served with assorted vegetables mixtures. 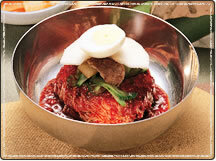 Bulgogi with rice & side dishes.